To get married in Ontario, a marriage licence is required. 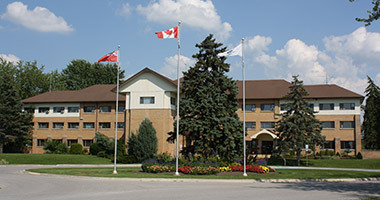 The Town of Georgina’s Clerk’s Division issues marriage licences in accordance with provincial requirements and Town policies and procedures. Licences are valid for 90 days from the date of purchase. The Town of Georgina is delighted to offer wedding officiate services whether you wish to be married at our Civic Centre or at the venue of your choice. To reduce the time required to process your license, you can complete and print the Marriage Licence Application ahead of time and then deliver it in person to the Clerk’s Division at the Town of Georgina by both or one of the applicants with the required supporting documents for both applicants (including identification & divorce requirements). The marriage licence will be processed while you wait. Two (2) pieces of identification are required from each party applying for a marriage license (i.e. four pieces of identification are required for every application). You must produce two current/valid, original (or certified copies) pieces of identification from the list below for yourself as well as for the person not in attendance at the time the licence is issued. The two pieces of identification must include a minimum of one photo identification and be legible and understandable by the licence issuer. Things you need to know…. If either applicant was previously married and the marriage was dissolved or annulled within Canada, the original or court certified copy of the Decree Absolute or Certificate of Divorce must be submitted along with your marriage licence application. Certified copies may be obtained from the Court which granted the divorce. Photocopies will not be accepted. If a divorce was granted for either applicant outside of Canada, you must complete a Foreign Divorce Kit. This process may take up to four weeks. If you do not understand or read English, you must provide your own interpreter and he/she must provide identification at the time you submit your application. If either applicant is under the age of 18 but over 16, parental consent will be required. If you wish to obtain a marriage certificate, you will need to complete a Request for a Marriage Certificate Form approximately 12 weeks after your wedding and mail it or complete the Service Ontario's Online Certificate Application with the required fee to the Office of the Registrar General. Please contact the Office of the Registrar General at 1-800-461-2156 if you have further questions concerning the marriage certificate.